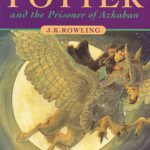 Harry Potter and the Prisoner of Azkaban (HP#3) — Loved it. Each book gets better and better! 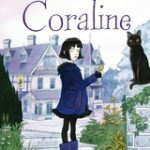 Coraline by Neil Gaiman — MG fantasy. I really liked the Coraline stop-motion film, and loved the book too. 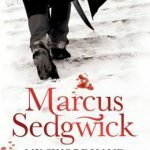 Deliciously dark for MG.
My Swordhand is Singing by Marcus Sedgwick — YA fantasy. I’m continuing my mission to read Sedgwick’s backcatalogue. My Swordhand is Singing explores original vampire folklore. Not my favourite of his books, but a quick read with some creepy moments. 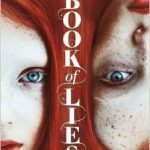 Book of Lies by Teri Terry — YA paranormal fantasy. I’ve bought and enjoyed all of Teri Terry’s novels, and Book of Lies was no exception. The premise — twins who meet for the first time at their mother’s funeral — had me hooked from the start. I couldn’t put Book of Lies down until all the mysteries had unravelled. Highly recommended. 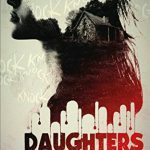 Daughters Unto Devils by Amy Lukavics — YA historical horror. I’d heard mixed reviews about Daughters Unto Devils, so wasn’t sure what to expect, but ended up really enjoying this tale of demons and insanity on the prairie. 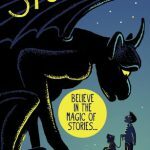 Stonebird by Mike Revell — MG magical realism. A really warm, moving tale about a boy coping with his grandma’s dementia, and the gargoyle he calls on for help. I’ve said many times that MG isn’t always my thing, but I really liked this one. 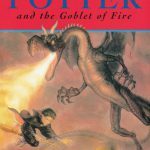 Harry Potter and the Goblet of Fire (HP#4) — So far, the Harry Potter books have been a joy to read, but I’ve known the plots well from multiple viewings of the films. I couldn’t remember much about the film version of The Goblet of Fire, though, so this book felt like it had lots of new content for me. I loved it, unsurprisingly! 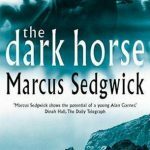 The Dark Horse by Marcus Sedgwick — MG historical fantasy. Another book to tick off my Sedgwick list. Like My Swordhand is Singing, The Dark Horse was a quick read but not a favourite. I’m keen to get my hands on some of Sedgwick’s more recent books next. True Fire by Gary Meehan — YA fantasy. 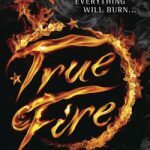 True Fire is the first in a trilogy set in a medieval-ish fantasy world, but with modern-style banter and a current of humour that reminded me of Terry Pratchett’s City Watch books. I’ve met Gary Meehan at a few author events, so am happy to have finally read the first book! Action-packed, with lots of fun characters. 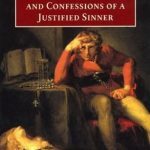 The Private Memoirs and Confessions of a Justified Sinner by James Hogg — Gothic classic, read for the 2016 Classics Challenge. Read my full review here. 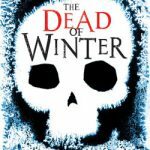 The Dead of Winter by Chris Priestley — YA historical horror. I adore Chris Priestley’s books. The Dead of Winter is a Victorian-era ghost story with echoes of The Woman in Black. Lots of Gothic mystery and genuinely scary moments. What did you read in July?